Note: Books about Sri Lanka go in and out of print with alarming frequency. The ones listed here were available, at least through online resellers, at the time of writing (2008). I have omitted specialized studies from this list. 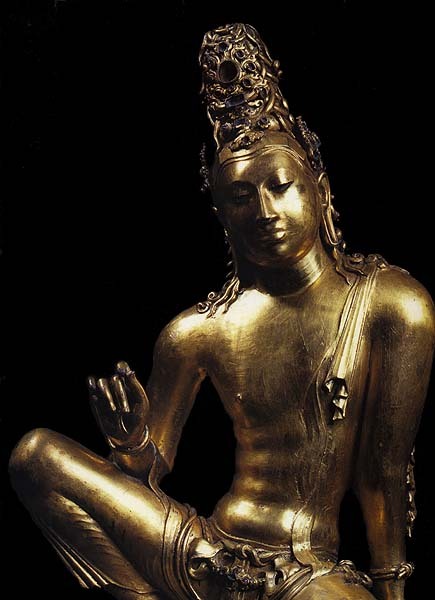 A comprehensive bibliography can be found in Ulrich Von Schroeder, The Golden Age Of Sculpture In Sri Lanka (1992). The Cultural Triangle Of Sri Lanka, by various authors, UNESCO 1993. 200 pp. A multi-authored account of the major World Heritage sites, including Anuradhapura, Sigiriya, Dambulla, Polonnaruwa, and Kandy, with numerous color photographs in large format. A Guide To The Cultural Triangle Of Sri Lanka, by Edmund Jayasuriya. Central Cultural Fund, Colombo, 2004. 124 pp. A concise and up-to-date guide to the Cultural Triangle's major sites, written by the former Deputy Director General of the CCF. A History Of Sri Lanka, by K. M. De Silva, Oxford University Press, 1981. The standard history of the island, although currently (2008) out of print. Illustrations and Views of Dutch Ceylon, 1602-1796 by Rajpal Kumar De Silva and Willemina G. M. Beumer, Brill Archive, 1988. Currently (2008) out of print, but worth obtaining for its fascinating glimpses into Lanka's Dutch Colonial past. Insight Guide to Sri Lanka, Fourth Edition, 1999. A full-service guidebook, with good color photographs, the Insight Guide is a pleasant introduction to Lanka for the casual tourist. Mihintale, Cradle of Sinhala Buddhist Civilization, by J. B. Disanayaka, Stamford Press, Singapore, 1987. A photographic exploration of this ancient site, the birthplace of Buddhism in Sri Lanka. The Religious World of Kirti Sri: Buddhism, Art, and Politics in Late Medieval Sri Lanka, by John Clifford Holt, Oxford University Press, 1996. An admirable study of the 18th century revivalist king, that delivers many insights into the Kandyan historical period. The Rough Guide to Sri Lanka, by Gavin Thomas, Second Edition, 2006. This guidebook is an excellent choice for the more serious tourist, with generally reliable archaeological and cultural information. Sigiriya, by Senake Bandaranayake, Central Cultural Fund, 1999. 22 pp. A large-format précis of the monument. Although short in length, this publication offers a fine overview of Sigiriya, including some breathtaking aerial photography, accompanied by an expert text.